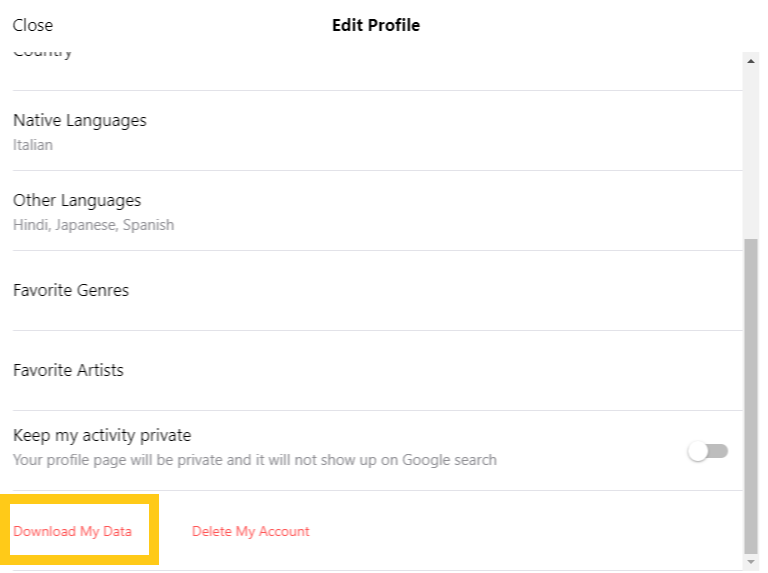 How can I download my your personal data? To download your personal data, you can use the Musixmatch website or the apps. - Select "Download My Data"
- Once you are in the profile page, tap on the top right icon (3 dots) and select "Edit Profile"